I've had this post ready for awhile now, but haven't published it because I thought it was a little bit of a downer. But I think it's important to bring up, because if Evie didn't have special needs, I probably wouldn't have paid as much attention to this. 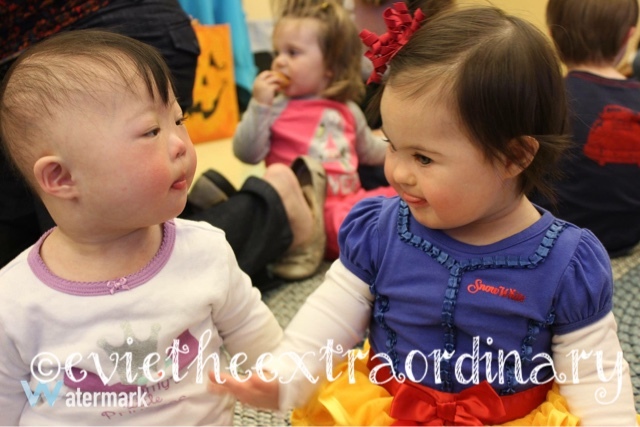 The other day, I read this article by a mom (and Facebook friend) who has an older child with Down Syndrome. She has already traveled much of the road that we are just embarking on. As I read this article, I grew more and more sad. Oh, please, please--don't let this happen to Evie! I hurt for her. I can't shield her from peers who won't know any better and perhaps see something different about her when she's older. All I can do is hope and pray that she makes friends who love her and look out for her. Everyone is so supportive of us and so loving to Evie right now. Thank you to our friends and family who have 100% accepted Evie, wanted to know more about her medical needs, and asked how they can support us. Your love has been so important to us. There is a little 5 year old girl who lives down the hallway in our building. She has taken a liking to Evie, and drops little cards and gifts at our doorstep. This warms my heart so much! I don't worry as much about the adults as I do about her peers. I hope that Evie can keep up with the other kids, and I hope that they want her around and seek her out. 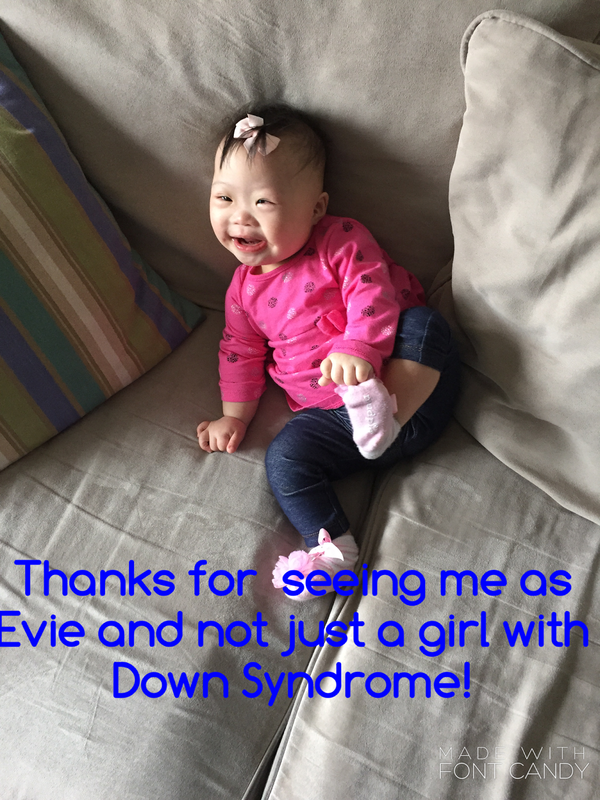 It will just about break my heart to hear for the first time another parent tell their child that they should include Evie, but I will also want to hug that parent as well (and need a hug myself). Maybe I'm being a little paranoid. I think every parent wants their child to have friends. But having been a kid myself, I know how kids can ostracize other kids because they are different. I think many have seen this video by now, but this 12 year old boy wrote a rap song about his sister with Down Syndrome. He must have seen her hurt often enough to inspire this song. We need more kids like this in this world! Having said all this, I wouldn't trade this for anything. Evie is the best thing that ever happened to me, besides marrying my husband.